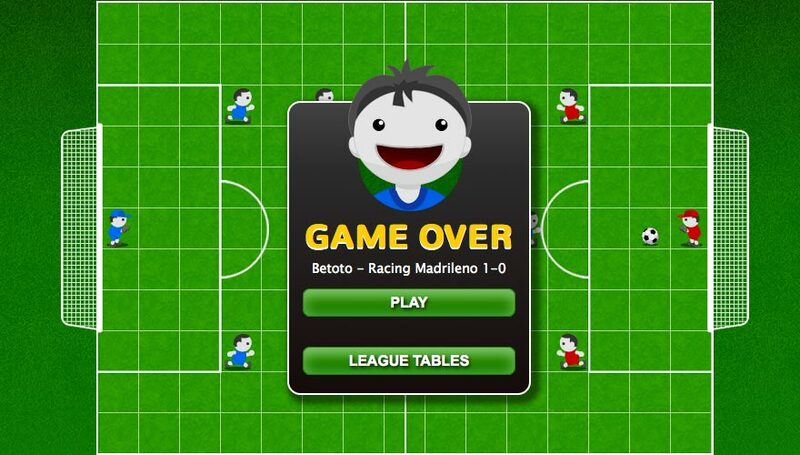 Ggoal is the first strategic and managerial multiplayer football game online in real time. With Ggoal you'll be, at the same time, the president, manager, coach and player of your football team! You'll be able to play exciting and challenging matches against your friends all over the world in real time. It's possible to challenge other players in the coach and player mode. To play with Ggoal you must be registered. At this moment the registration is free of charge. You must be at least 18 to play with Ggoal, or obtain parental consent. Once you registered, you'll receive a confirmation email within 15 minutes and you'll have to click on the link. In case you the link included in the email isn't clickable, you can simply copy and paste it in your browser address bar. If you did not receive the confirmation email, make sure to check your spam box first. During the registration process you'll have to choose the name of your team, which can be, for example, something like "Real Rainbow" or "FC WhiteAndBlue". However, you won't be allowed to use the real names of the most popular UEFA football teams. In fact you can't name your team "FC Barcelona", "AC Milan", etc. Also, you can't use names like "Ggoal" or similars. Furthermore, you'll have to select your position in the field. 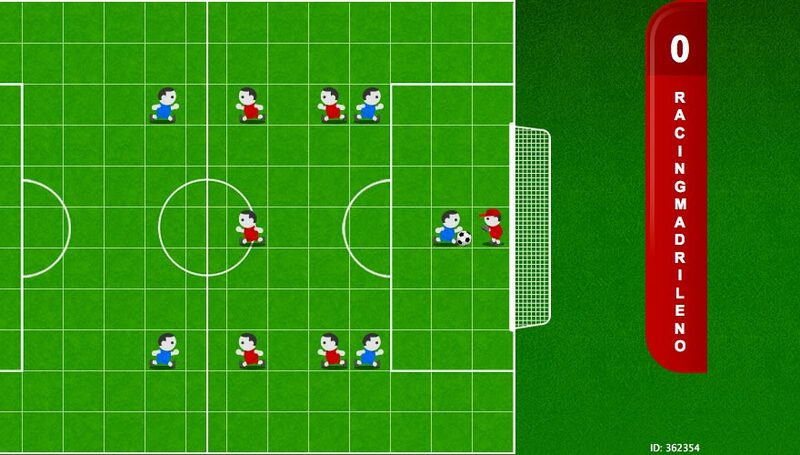 With Ggoal, you'll be one of the players in the field! Depending on the position you select, you'll have a better skill than other players. For example, a forward has a good shooting, a defender has a good tackle and a midfielder has a good passing. The Play Screen is the main Ggoal's page. From the Play Screen you can let other players know you're ready for playing. Click on LAUNCHES THE CHALLENGE to start the match. After a few seconds, both teams will be on the field. The match will begin with both teams arranged in a grid, similar to a chessboard. The player who accepted the challenge will get the red players, while the player who confirmed the challenge will use the blue players. Clicking on each player will allow you to select the type of move to perform. If you click on the player with possession of the ball, you'll be able to: Shoot, Pass, Run. All the players without possession of the ball, instead, will be able to: Tackle or Run. If you click on the goalkeeper, you'll be able to: Save or Run. It is possible to move the players to all the yellow cells, except the ones already occupied by the opponent's players or any other of your players. To make it clear, you can only move your players to free cells only. It is possible to move from 0 to 6 players. Once you selected the players, you'll be able to move them by clicking on "Ready" (the yellow button on the right bottom corner) to start your turn. At this point, if your opponent has moved his players already, you'll see the players moving, shooting, passing and tackling on real time, based on your tactical-strategic decisions. If the player won't move, you'll have to wait some seconds for him to complete its action. At this moment there is no time limitation for moving the players, but we're planning to add it in the future and it's going to be 30 seconds. To score you have to move your player close to the goal and shoot. 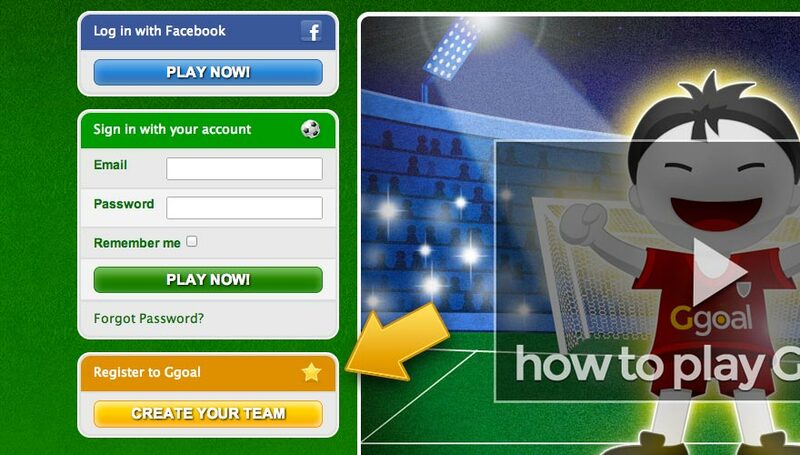 In order to score, you'll have to select a cell of the goal. 1) Try to keep possession of the ball, then pass it and try reach zones of the field with less opponents, so that you can play freely. 2) Always try to keep at least a player in the offensive area of the field, but be careful not to stay ahead of the last opponent's forward. That way you'll risk to face their counter-attack! 3) Use the Tackle for catching the ball. In fact, the percentage of balls intercepted with a tackle are higher than with simply running. 4) Use the Save move for the goalkeeper. It grows the chances to save the goal when an opponent is shooting. 5) In order to launch a teammate, first pass the ball and then move the teammate to the cell where the ball stopped. This way, even if you launch the ball, the the possession will remain yours.